The term child maltreatment has been used by advocates and policy makers to describe a set of individual behaviors toward children as well as a set of social conditions (Daro, 1989; Helfer, Kempe, & Krugman, 1997). Parental behaviors considered as abusive or neglectful include, among others, the willful or intentional physical beating of a child; the failure to provide for a child’s basic emotional and physical needs; overt emotional abuse of a child through continuous belittling, inappropriate control, or extreme inconsistency; and the sexual mistreatment of a child or use of a child for sexual pleasure. Social norms and public policies that condone and, sometimes, promote corporal punishment or high levels of violence and sexually explicit language in the media as well as child poverty, inadequate housing, failing educational systems, and limited access to preventive health care also represent, in the eyes of some, society’s collective maltreatment of its children (Garbarino, 1997; Straus, 1994). Given this diversity in perspectives, it is understandable that the field has struggled with defining the problem’s scope, consequences, and appropriate interventions. Setting aside the issue of social conditions and inadequate welfare and support systems, the number of children directly abused or neglected is substantial. 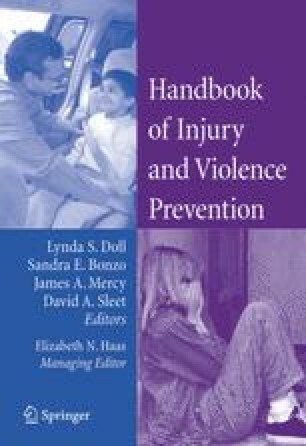 One of the earliest and most rigorous studies on the annual incidence of maltreatment estimated that in 1968 between 2 and 4 million families either failed to act or used physical force with the intent of hurting, injuring, or killing their children (Gil, 1970). Since that time, repeated household surveys and national incidence studies consistently document a problem of substantial proportion and one that affects children of all ages and socioeconomic groups (Finkelhor, Ormrod, Turner, & Hamby, 2005; Gelles & Straus, 1988; Sedlak & Broadhurst, 1996). Indeed, state and local child protective services (CPS) agencies investigated or assessed an estimated 1,800,000 referrals alleging child abuse or neglect in 2002. These referrals included more than 3 million children and, of those, approximately 869,000 (12.3 per 1,000) were determined to be victims of maltreatment (U.S. Department of Health and Human Services [HHS], 2004).